OH my...This kid just keeps getting cuter everyday! 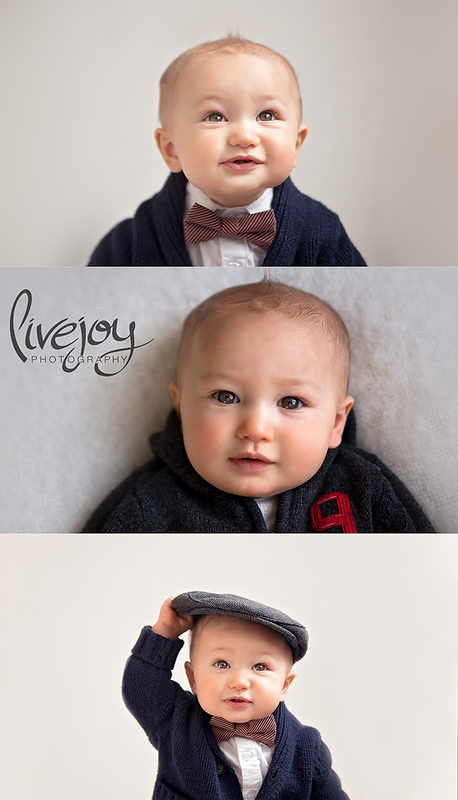 (as if that was even possible :) This is my 3rd session with this precious guy and it has been too much fun watching him grow! And can we just all agree that his mom picks out the most dapper outfits for him? Such a little man! That little bow just kills me! We had such a fun time feeding him (the entire session! HAHAH!) and making him laugh. My favorite was how happy he got when he saw his food :) A boy after my own heart! Enjoy these sweet photos! Look forward to see him again in a few months for his 1 Year session!